There are many drives in the Lithgow area. Start your journey in Lithgow, or simply pick up the trail from where you are staying. Enjoy driving along Main Street and residential streets to see a range of heritage buildings. Stop at the shopping centres along the way. Visit the spectacular Hassans Walls Lookout, Braceys Lookout and Blast Furnace Park. Mt Piper Power Station and visit the Energy Expo. Refer to the Greater Blue Mountain Drives for further information. Stop at Lake Wallace and Wallerawang then drive to the Wolgan Gap Lookout before dropping into the valley. Its a spectacular drive along the valley floor to Newnes. Enjoy bushwalks, paddling in the Wolgan River or walk around the old mining ruins (allow 2 hours, moderate). 16 km unsealed road (return). Explore the Hartley Historic Site, visit the tea rooms and galleries in Hartley Village, drive along Coxs River Road or Jenolan Caves Road to Hampton. The Rydal/Hampton Road will take you to Rydal.Back track 5kms and travel to Sodwells and Tarana. Stop at Evans Crown Nature Reserve for a 3km return walk (moderate) to the top of the tors. Visit Tarana before heading over to Meadow Flat and back to Lithgow. 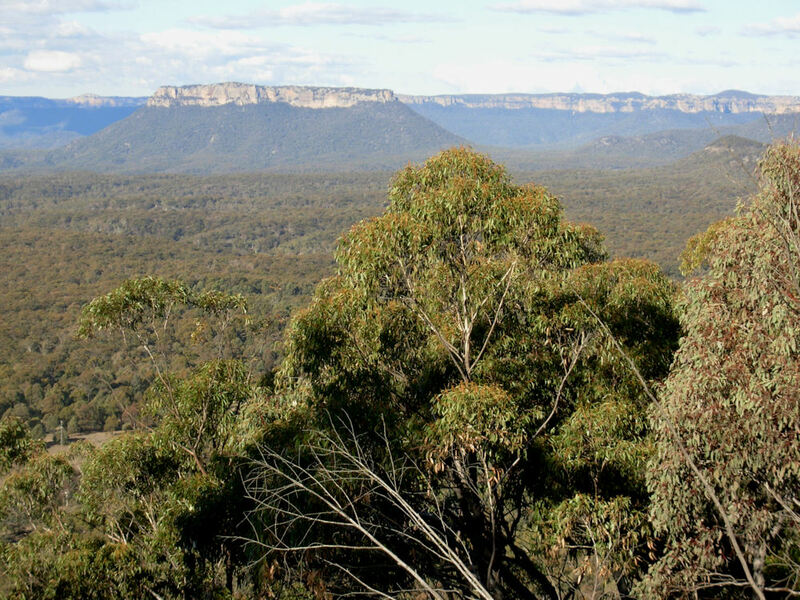 Head along the Newnes Plateau through native and pine forests to the Wollemi National Park. A 2km return walk (moderate) will take you to the Glow Worm Tunnel. Take a torch. 70km unsealed road (return). Capertee, Capertee Valley, Rylstone Visit Pearsons Lookout for an expansive view over the widest enclosed canyon in the world. Stop at the village of Capertee for refreshments. Visit Glen Davis, Glen Alice, Dunville Loop and then Rylstone and Kandos before heading back to Lithgow via Ilford. Scenic rural landscapes, towering escarpments. 30km of unsealed roads (approximate). Wildflowers can be found all year round in the Lithgow area. Hassans Walls Reserve, Newnes Plateau, national parkss and just by the side of the road are all good places. Take your time to explore. which attract different bird communities – the makings for a truly remarkable birdwatching experience.